The Bamileke are a part of larger cultural area situated in the Grassland of Cameroon, and count approximately 700.000 people. Originally they came from an area known as Mbam, which is today occupied by the Tikar. The Bamileke are primarily farmers, growing maize, yams and peanuts as staple crops, Women who are believed to make the soil more fruitful, are responsible for the task of planting and harvesting of the crops. The artistic production of the Bamileke people is closely associated with with royal and societal ceremonies. Large figures and thrones and prestige paraphernalia are used by the king to assert his power. 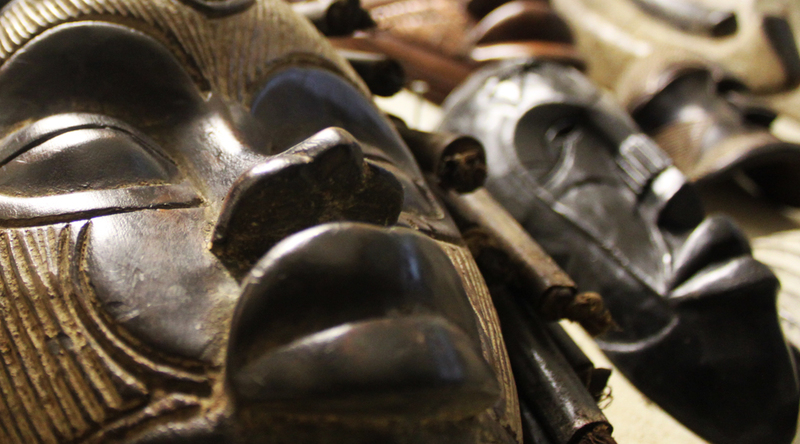 Masks are worn during during ceremonies related to the societies that structures each kingdom.